This paper presents off-line and on-line orientation results obtained with the new on line nuclear orientation device NICOLE in CERN. 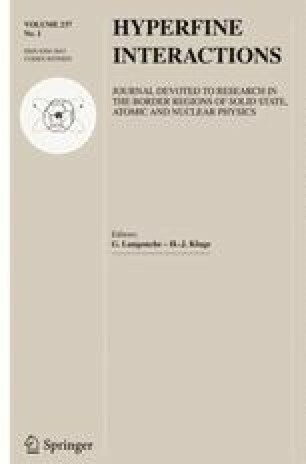 Magnetic moments of187,185Pt g and186Ir m , electric quadrupole moment ratios between Pt isotopes with mass number 185, 187 and 189, the spin of the 2 h isomer of186Ir and a new decay scheme of184Au involving a metastable state are established. The shape variation versus mass number of the Pt isotopes leads to sign change of the spectroscopic quadrupole moment between A=187 and 185.